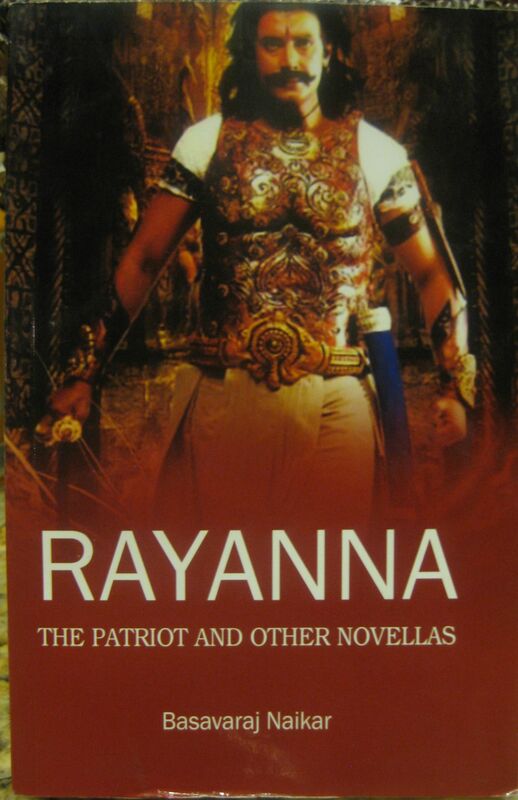 Review of Rayanna, The Patriot and Other Novellas by Basavaraj Naikar, published by Gnosis, an imprint of Authorspress. Basavaraj Naikar occupies a unique place in the history of the Indian Short Story in English. Naikar draws his inspiration from the great store house of Indian legends and myths, folk tales and the oral tradition of storytelling. Naikar creates a society similar to the one found in the traditional tales. It is a community with high ideals where man is essentially good. Evil is present in this society, and its designs do upset the normal order. But evil exists, first, to highlight the good and, second, as a force to be defeated in the end. Miracles occur and are not regarded as something out of the ordinary. It is a state where the worlds of the devas and human beings intersect. Call it “magical realism” if you like – before the term became fashionable. Like the traditional tales, one incident follows another in a Naikar story. Events are often telescoped so that the pace remains brisk. In the matter of theme, Naikar seeks his inspiration from the classical treatise, the Natya Shastra. According to the Natya Shastra each creative endeavor should exemplify a particular rasa or pleasure principle but which must find resolution inshanta. This approach informs Naikar’s stories irrespective of whether they are set in the past, as most of his are, as well as the few set in contemporary times. Naikar’s unique approach was acknowledged when his collection of short stories, TheThief of Nagarahalli and Other Stories, was shortlisted for the Commonwealth Book Prize in 2000. All the four stories are set in the past. The heroes of these stories are not fictional characters but historical figures. Although all four of them center round the times and achievements of these individuals, they are not mere chronological accounts of events. Naikar tells his stories in the form of short dramatic scenes amidst a narrative flow that condenses stretches of historical time. Events pack the story titled Kanakadasa: The Golden Servant. Kanakadasa is born when Lord Venkatashwara visits his parents in a dream. Mother and son and are driven out of their village after the death of his father, the village chieftain, because of the machinations of his father’s rival, Mallanayaka. Mother and son relocate to Kaginelli. In Kagenelli, Kanakadasa finds copper pitchers full of gold coins when digging in a field. He uses his new found wealth for feeding the needy and for the repair of dilapidated temples. Mallanayaka, fearfully of the young man’s popularity, send his henchman to kill Kanakadasa. Kanakadasa not only survives but when convalescing composes a famous poem called Haribbhakti Sara. 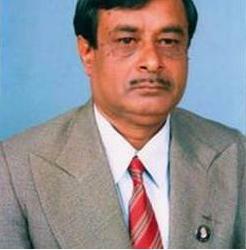 Kanakadasa’s growing reputation as a great devotee and man of discipline earns him the position of administrator of two districts. An administrator, Kanakadasa does much to improve the lot of the people. When his young wife and son die unexpectedly, he undergoes a spiritual transformation. Kanakadasa gives up the material world and, when the Lord visits him in a dream, takes up the life of a wandering minstrel. As a first step, he joins the monastery of a well-known spiritual master and despite the jealousies of the other high caste disciples of the master, he passes all the spiritual tests he faces. He moves to Tirupati where his compositions and songs, springing spontaneously on special occasions, have the power to alter even nature’s disastrous events, like stop an earthquake. Kanadasa spends the rest of his life visiting the various places of pilgrimage in the Viyajanagara kingdom, performing miracles, composing bhajans and turning people God wards. Kanadasa, poet, philosopher, musician and poet actually lived (1509 to 1609). His compositions are part of the tradition of Carnatic music. Naikar could have chosen to offer a chronological narration of the events of Kanakadasa’s life, presented his bhajans and songs and told us how, why and when they were composed and rounded off the story of what his contemporaries thought of him. Instead Naikar opted for the trappings of a folk tale where the lines between reality and myth are blurred. Naikar moves the story forward as would a wandering minstrel. Observe Naikar’s skill here: after all, in a sense, Kanadasa was a wandering minstrel. The final effect of Naikar’s presentation makes Kanadasa appear a larger-than- life figure. That indeed is fitting because Kanadasa continues to live through his compositions. The sub-title of the story, The Golden Servant, suggest the rasa, the thread of the necklace round which the events are beaded. In this story the rasa is that of bhakti, devotion. The heroes of the three other stories, Jakkanacharya, a great architect and a builder of temples, Raja Mallasarja, a popular king, and Rayanna the patriot, who fought the British, are historical figures too. An analysis of these stories reveals the same techniques at work as in the story about Kanadasa. However, no amount of analysis can convey the flavor of the original. The four stories have to be read to be enjoyed. 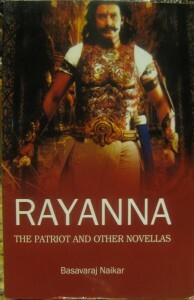 This review of Rayanna The Patriot by Murli Melwani appeared in Indian Book Reviews, 7 Feb 2012.